This approximate true-color image taken by the panoramic camera on the Mars Exploration Rover Opportunity shows a region at the end of the rock outcrop lining the small crater, called "Eagle Crater," where the rover now sits. 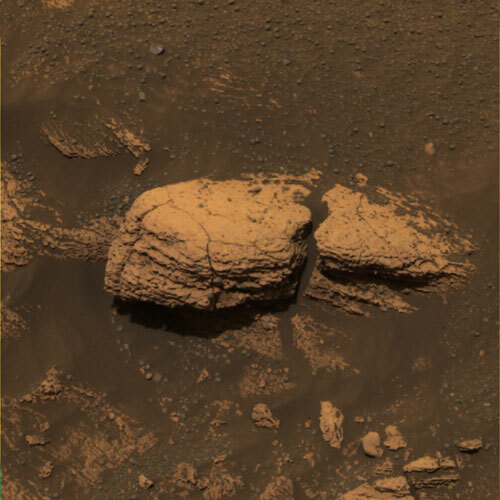 The sphere-like grains or "blueberries" dotting the rocks in the outcrop can also be seen above the rocks, suggesting that these geologic features have origins beyond Eagle Crater. Data from the panoramic camera's blue, green and red filters were combined to make this image.